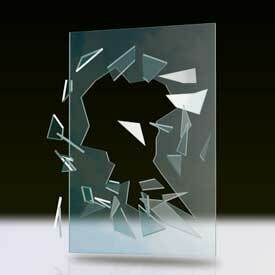 May crack under pressure, but tends to remain integral, adhering to the plastic vinyl interlayer. 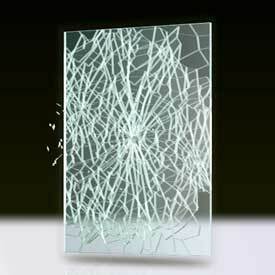 If laminated glass is broken, the vinyl interlayer remains in the frame, with glass fragments adhering to the interlayer. This provides a strong barrier against forced entry and cannot be cut from one side only, which renders glass-cutters useless. 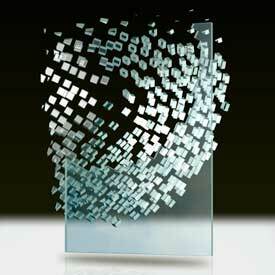 Cardinal’s laminated glass meets rigorous industry codes, including the American Society of Testing Materials standard for preventing forced entry (ASTM F1233) and the burglary resistant guidelines issued by Underwriters Laboratories (UL972). Our laminated glass is customized to meet the requirements of any security application, providing the best options available.The potential fading reduction of solar energy through glass can be determined by a measurement called Damage Weighted Transmission (Tdw).